Certainly not trying to replace the chamber of commerce, but thought it was time to have a page devoted to Little Rock. The city is the largest in Arkansas with a population of a little more than 193,000. It’s the state capital and the Pulaski County seat. And yes, there IS a little rock for which the city is named. 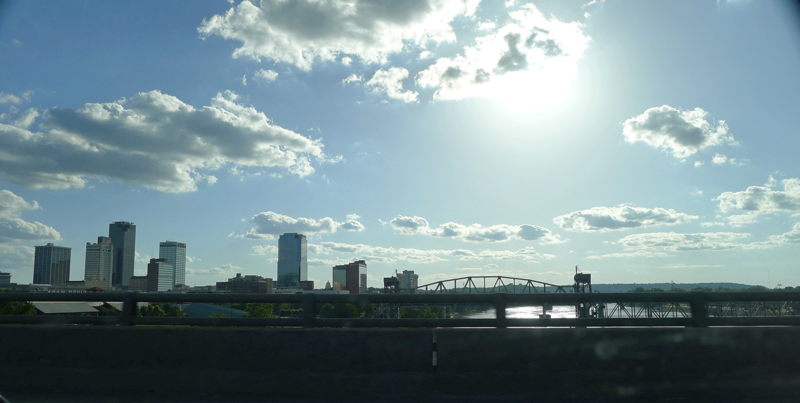 Downtown Little Rock, taken from the 1-30 bridge over the Arkansas River, looking south. Taken June 13, 2014. 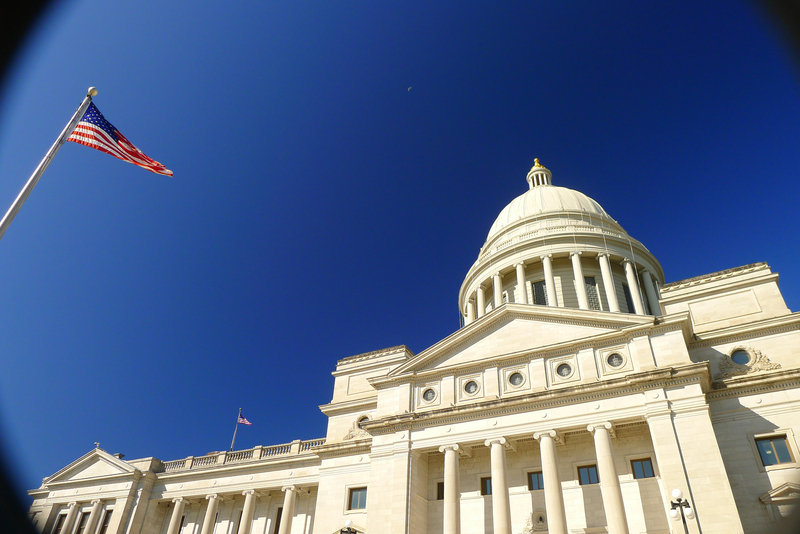 Arkansas State Capitol under a cloudless October sky. 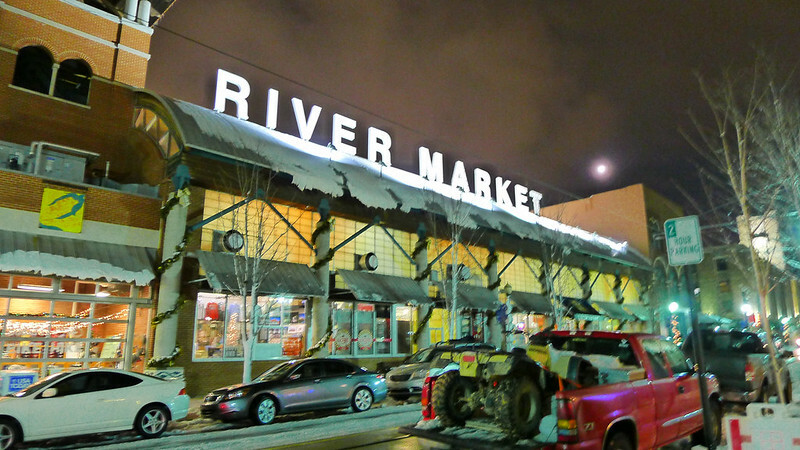 RIVER MARKET — The River Market sparked a downtown revival a couple of decades ago. New residential construction is bring people back into the heart of what used to be an industrial area. 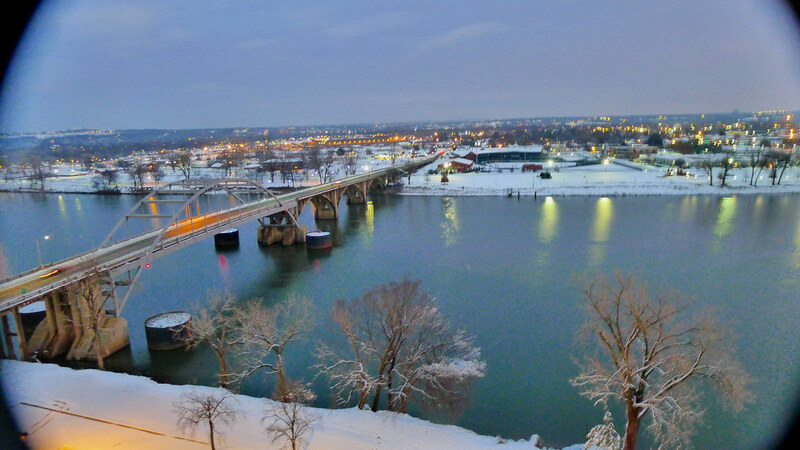 IN WINTER — Taken from the Little Rock side of the Arkansas River, looking into North Little Rock two days after our Christmas Day 2012 blizzard. 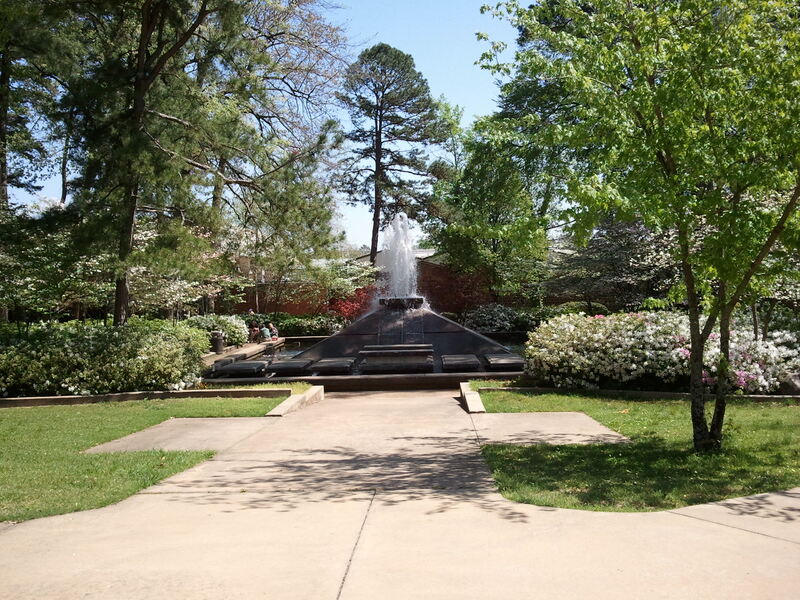 FOUNTAIN PLAZA — The fountain at the UALR campus is surrounded by spring blooms. At lunchtime its benches are usually covered with students. 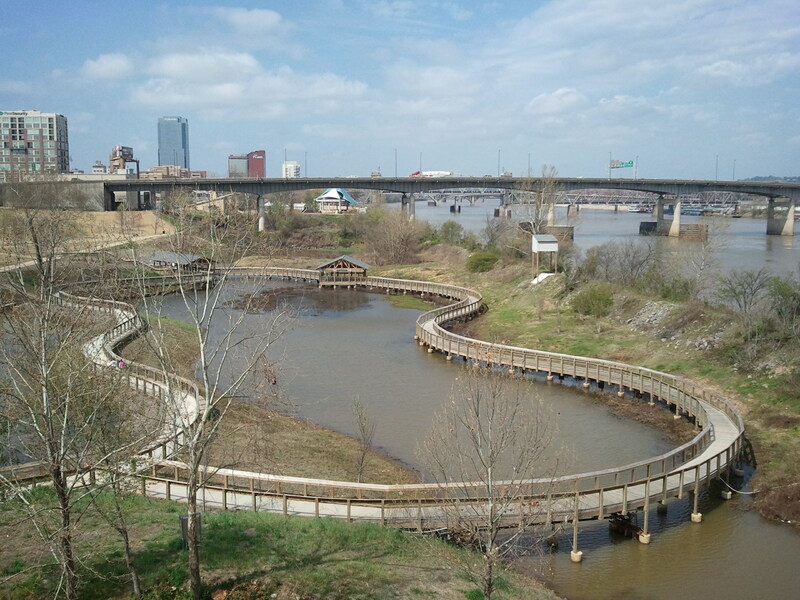 WETLANDS PARK — A circular raised walkway gives visitors a look at the wetlands along the Arkansas River. 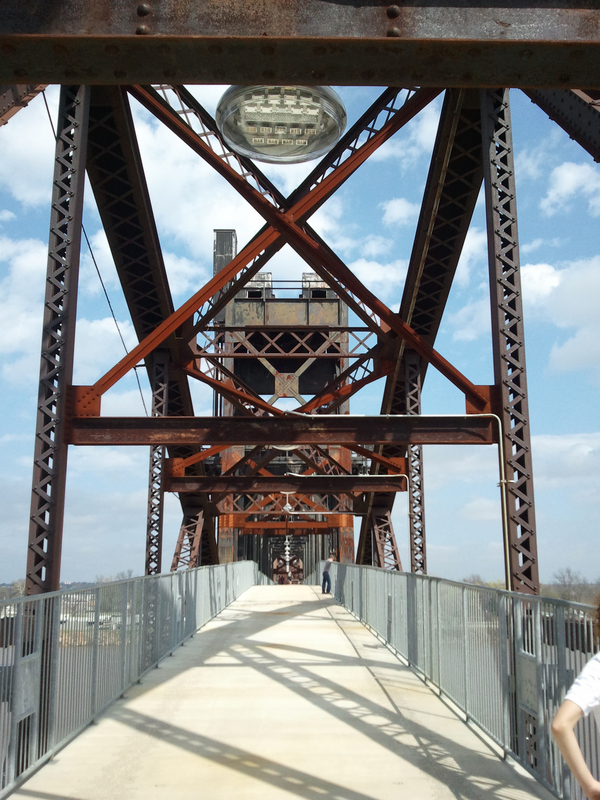 ROCK ISLAND — Former railway bridge converted for pedestrian and bicycle use. It crosses the Arkansas River at the eastern end of downtown Little Rock. 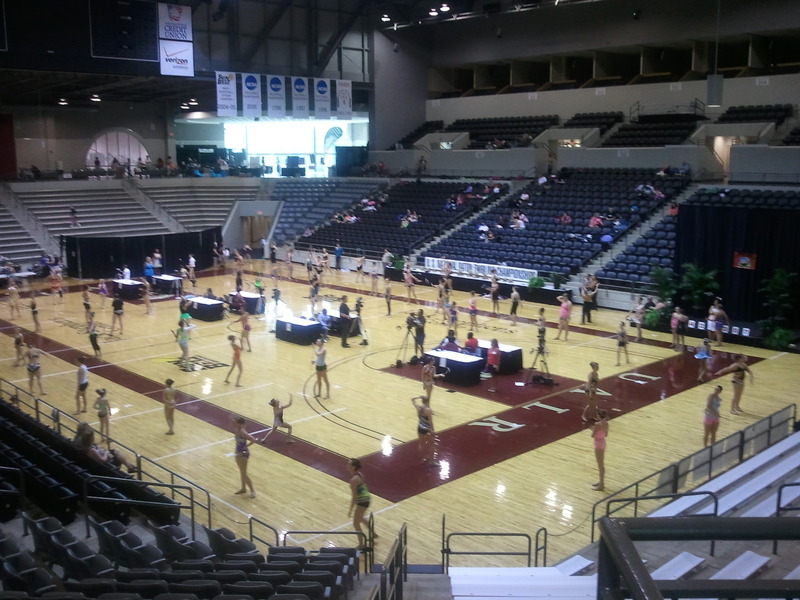 ROUND and ROUND — Early morning warmups at the U.S. Baton Twirling Championships, held at the Stephens Center on the UALR campus, July 2011.